Over the past months, the ESO Supernova team has been keenly working on the preparation of the programme for the exciting new planetarium and visitor centre, due to open to the public on 28 April 2018. We are delighted to announce that the programme is now available online. 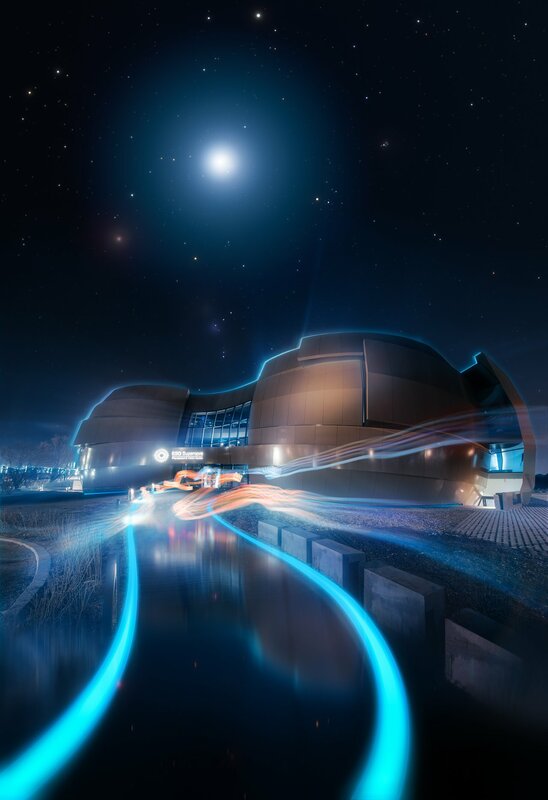 The programme contains lots of information about the range of planetarium shows, guided tours and educational workshops offered by the ESO Supernova. It also features special public events such as science talks, concerts and much more. The programme allows you to click on each show, tour or event to find out more information and to book your place. In 2018 all activities are free, but bookings are necessary. After booking, tickets can be printed using the ESO Supernova on-site ticket kiosks. The planetarium shows on offer — which are all free of charge — can guide you through the highlights of the night sky, take you on an extraordinary journey deep into space and show you a glimpse behind the scenes at the European Southern Observatory, the world’s most productive ground-based observatory. Tours of the ESO Supernova are also on offer, with ESO astronomers and engineers taking audiences through some of the biggest questions in astronomy. There will be the opportunity for audiences to discover what kind of objects populate our Universe, from planets like the Earth to strange objects like black holes. Some guided tours give rare insight into the history and the future of ESO and allow you to explore the intricate architecture of ESO’s buildings — all architectural stars in their own right. To see the full range of activities on offer at the ESO Supernova and to book a place at any of these exciting upcoming activities, follow this link, and explore the marvels of the Universe from here on Earth! ESO Supernova is proudly supported by: Evans & Sutherland and Energie-Wende-Garching. The Klaus Tschira Stiftung (KTS) was created in 1995 by the physicist and SAP co-founder Klaus Tschira (1940-2015). It is one of Europe’s largest privately funded non-profit foundations. The Foundation promotes the advancement of the natural sciences, mathematics, and computer science, and strives to raise appreciation for these fields. The Foundation’s commitment begins in kindergarten and continue in schools, universities, and research facilities. The Foundation champions new methods of scientific knowledge transfer, and supports both development and intelligible presentation of research findings. ESO is the foremost intergovernmental astronomy organisation in Europe and the world’s most productive ground-based astronomical observatory by far. It is supported by 16 countries: Austria, Belgium, Brazil, the Czech Republic, Denmark, France, Finland, Germany, Italy, the Netherlands, Poland, Portugal, Spain, Sweden, Switzerland and the United Kingdom, along with the host state of Chile. ESO carries out an ambitious programme focused on the design, construction and operation of powerful ground-based observing facilities enabling astronomers to make important scientific discoveries. ESO also plays a leading role in promoting and organising cooperation in astronomical research. ESO operates three unique world-class observing sites in Chile: La Silla, Paranal and Chajnantor. At Paranal, ESO operates the Very Large Telescope, the world’s most advanced visible-light astronomical observatory and two survey telescopes. VISTA works in the infrared and is the world’s largest survey telescope and the VLT Survey Telescope is the largest telescope designed to exclusively survey the skies in visible light. ESO is a major partner in ALMA, the largest astronomical project in existence. And on Cerro Armazones, close to Paranal, ESO is building the 39-metre European Extremely Large Telescope, the ELT, which will become “the world’s biggest eye on the sky”.